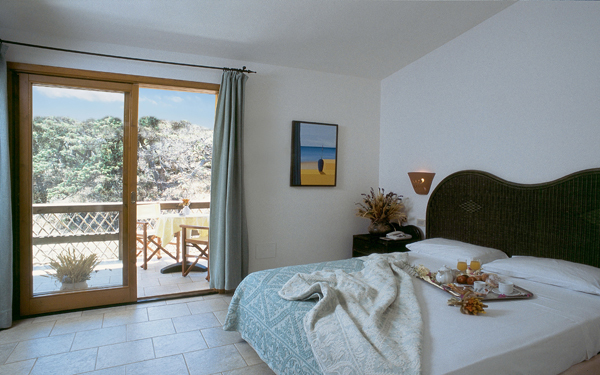 The Resort Le Dune in the North of Sardinia offers a wide selection of rooms to suit everyone from families and couples to honeymoons. 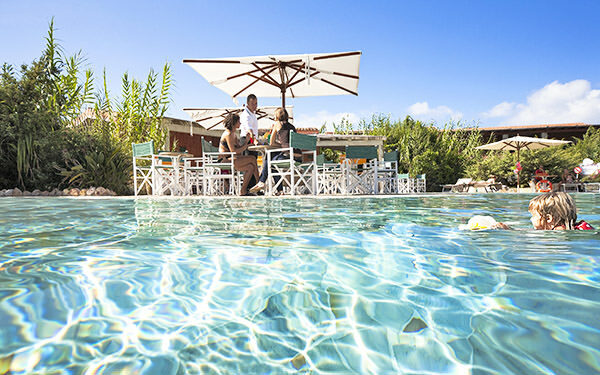 Within the Resort Le Dune there are five different hotels set amidst lush Mediterranean vegetation, each with its own personality in order to satisfy the needs both of couples and of families, even large ones. 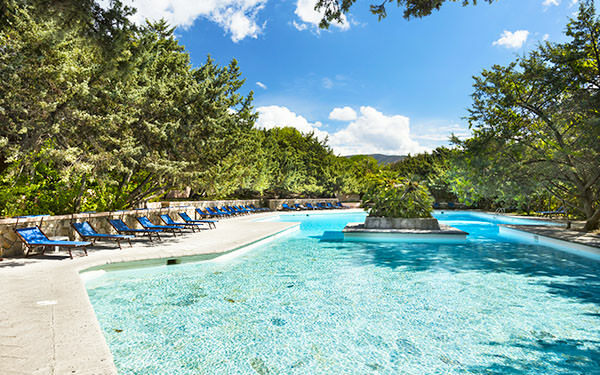 The I Ginepri and Le Palme hotels are particularly suitable for families with children, the Hotel Le Rocce is an oasis of relaxation and privacy while the Hotel Le Sabine is an exclusive area just a few steps from the Le Sabine Wellness Centre and SPA. 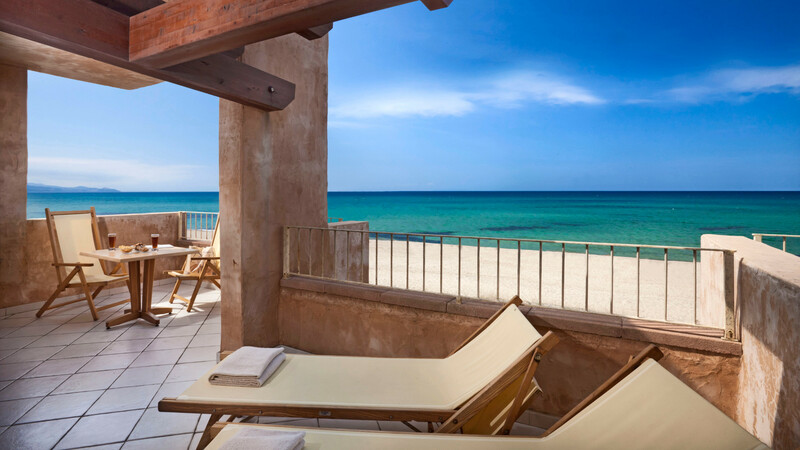 For the most demanding guests there is the Hotel La Duna Bianca which offers the pleasure of being a few metres from the beach with an even more exclusive service. 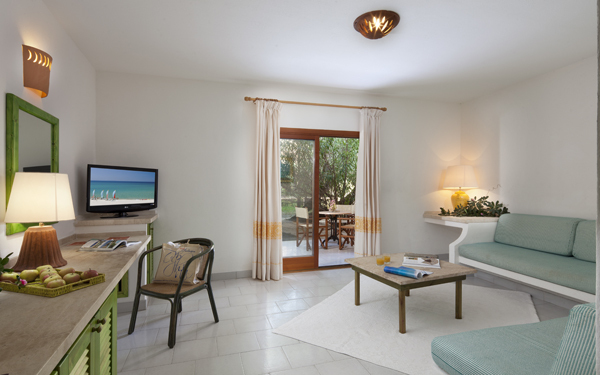 All the rooms at the Resort Le Dune are furnished in typical Mediterranean style and have a furnished veranda, bathroom with shower and hairdryer, air conditioning, safe, TV, telephone, minibar and beach towels. Free cot to be requested at time of booking. Rooms are available within 16:00 (earlier if available) and should be vacated by 10:30 on the day of departure. 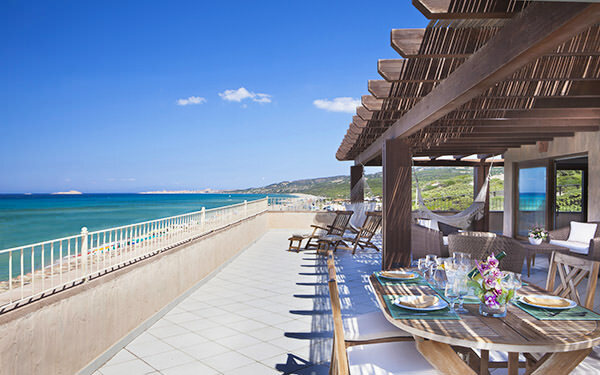 A few metres from the Li Junchi beach at Badesi, the Hotel La Duna Bianca offers 16 prestigious rooms designed for you to enjoy the spectacular sunsets over the North Sardinia sea. 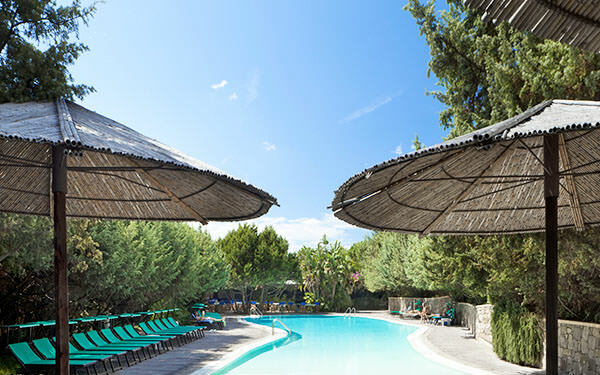 The Hotel Le Rocce is in an area of luxuriant greenery within the Resort Le Dune and has 58 Superior and Superior Family set around the Le Rocce swimming pool. 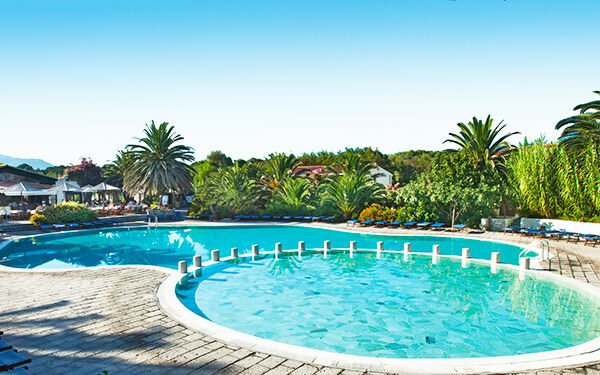 The Hotel I Ginepri is the perfect solution for families holidays with children. 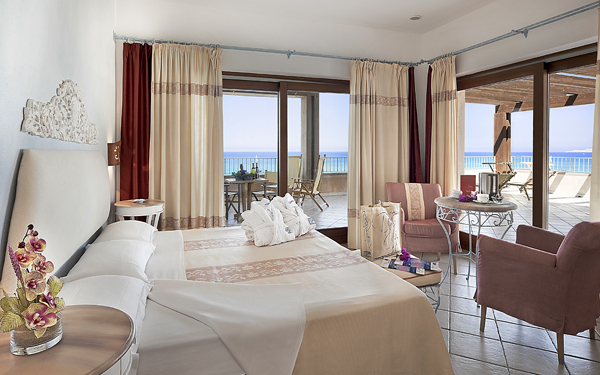 Spacious yet functional rooms, suitable for large family holidays. 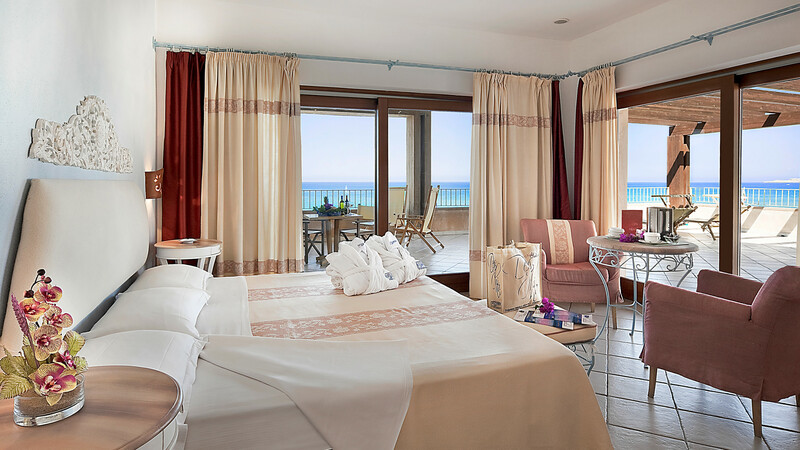 The Hotel Le Palme offers comfortable and welcoming rooms located at the heart of the Resort Le Dune, designed for young couples and families with one child. Opening of individual hotels and related services during opening and closing weeks is at discretion of the Management with possible re-protection of guests in higher category rooms of the Resort.